Bitbucket is a web-based Git and Mercurial repository that allows you and your team members to store code. You can connect one Bitbucket repository to your OSF project. 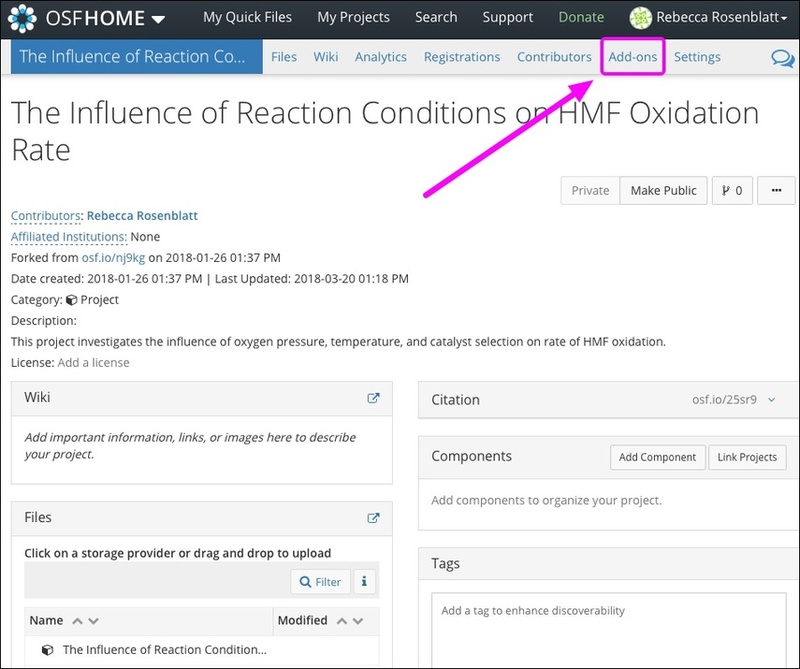 Different repositories can be linked to different components within the same project. 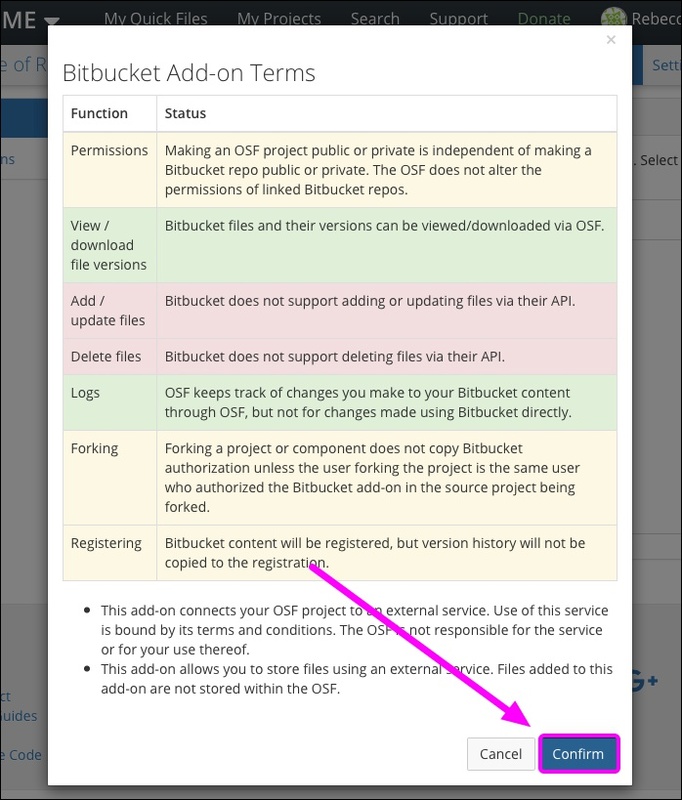 The connection between Bitbucket and OSF is read-only, meaning files added to your Bitbucket repository will be accessible - but not editable - via OSF. 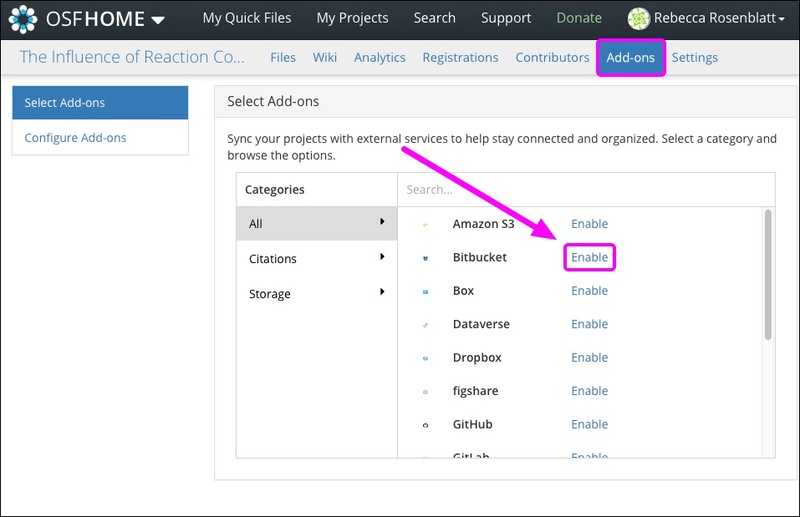 The Bitbucket add-on allows you to connect external content to OSF. This connection does not store or back up this content on OSF. To back up your content to OSF Storage, consider registering your project. 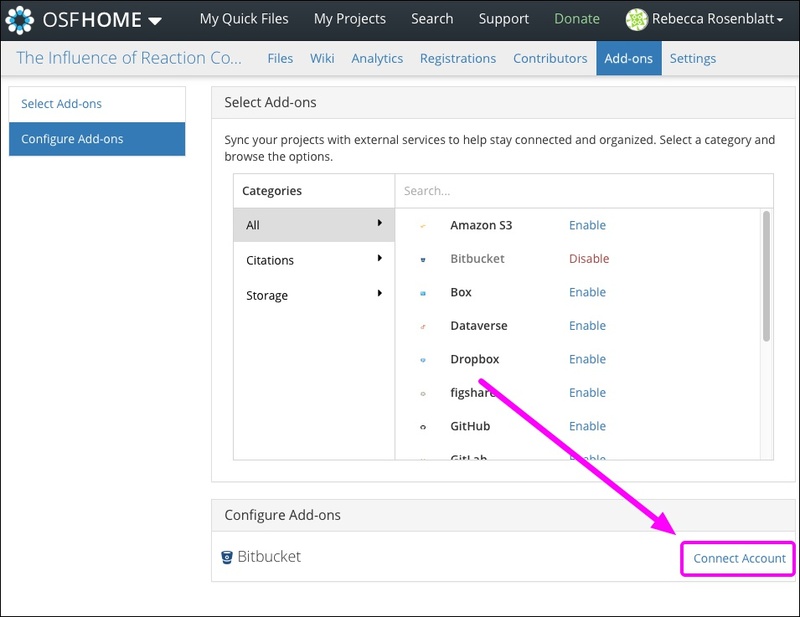 In the list of add-ons, click the Enable link next to Bitbucket. The Bitbucket terms will appear. Read the terms, then click Confirm button. Then click the Import button in the modal. Bitbucket will be connected to your project. 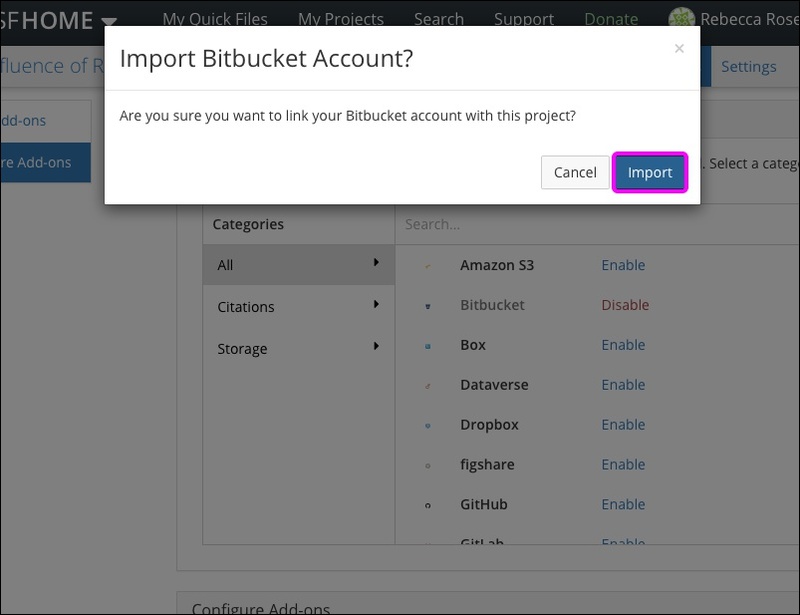 Select Bitbucket from the file tree, and a toolbar will appear. Select a branch from the "Branch" menu to view other branches in your repository. Master will be selected by default.